Shown by appointment only! Charming two family brick home awaiting your love and contractor. Loads of potential to make this your dream home. One car garage and walk in unit with bath, large backyard. 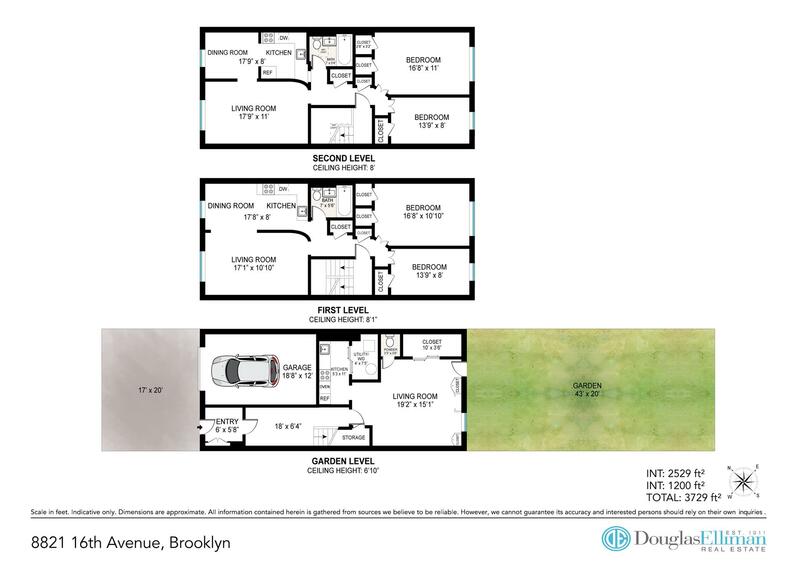 2nd floor has large 2 bedroom / 1 bath apartment with open kitchen, dining area and large living room. 3rd floor is also a sun flooded 2 bedroom - one bath. Perfect as a rental unit or house makes fantastic, spacious one family. Shown by appointment only - owner ready to make a deal! Motivated seller! Sold as is!